The eclipse was beautiful last night, yes? I am a moon faery at heart. 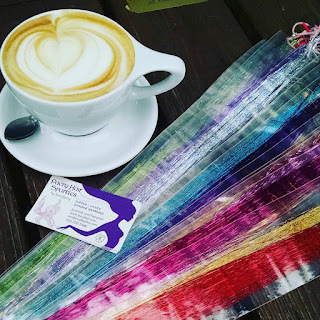 *Friday, October 2nd, 2-5:30pm, Faery Hair First Friday at the Fernie Brae Gallery & Shoppe, 4025 SE Hawthorne Blvd, Portland, drop in! 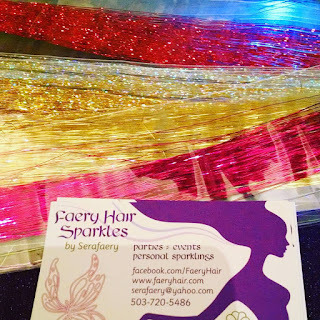 Saturday, October 3rd, 3-6pm, Faery Hair Sparkles at Townshend's Tea, 2223 NE Alberta St, Open Hours, Drop in! Sunday, October 4th, 2-4pm, Thrill the World Dance Practice, Fremont United Methodist Church, 2620 NE Fremont St, Portland, free event, drop in! Sunday, October 11th, 2-4pm, Thrill the World Dance Practice, Fremont United Methodist Church, 2620 NE Fremont St, Portland, free event, drop in! (uncomfirmed) *Sunday, October 18th, 2-6pm, Halloween Party, Espionage Cosmetics, 707 Pacific Ave, Tacoma, WA 98402, drop in! Friday, October 23rd, 6-8pm, Thrill the World Dance Practice, Fremont United Methodist Church, 2620 NE Fremont St, Portland, free event, drop in! 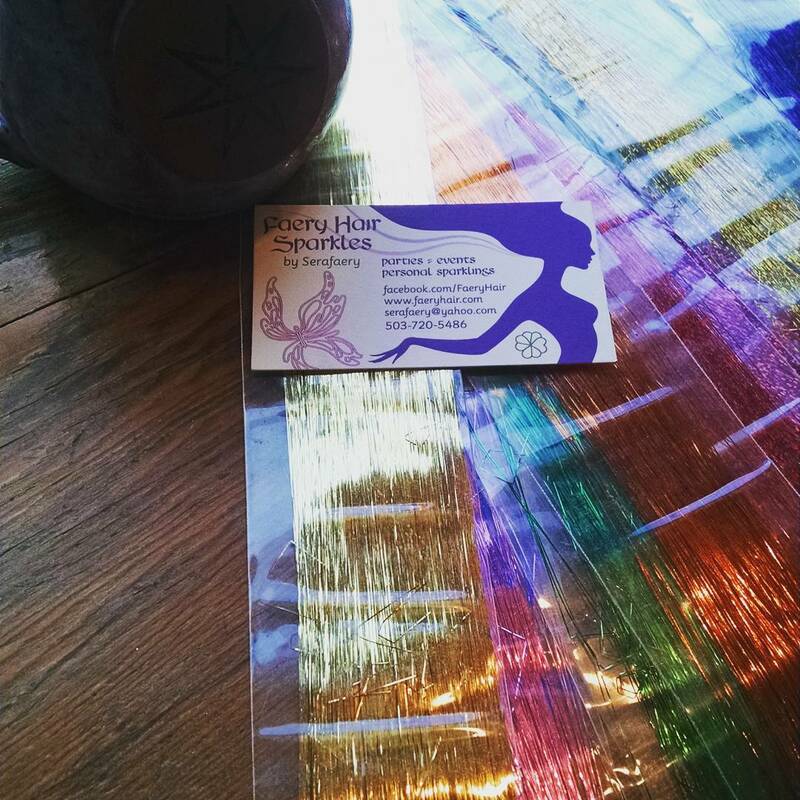 *Thursday, Oct 29th, 7:30-9pm, Pure Open House, free belly dance hafla, Euphoria Studios, SE 12th and Division st, Portland. Drop in! More to come, please check back for more drop-in times or call/txt/email to schedule your sparkles! <3 Blessed Be! Thursday, Sept 24th, 6-8pm, Belmont Station, 4500 SE Stark St, Portland, drop in! Sunday, Sept 27th, 2-4pm, first Thrill the World Portland dance practice! Fremont United Methodist Church, 2620 NE Fremont St, Portland. Free Practice will be Fridays 6-8pm, and Sundays 2-4pm, through October until we perform on October 24th! Learn the Thriller flash mob and dance together with people around the world to Thriller by Michael Jackson, as zombies! 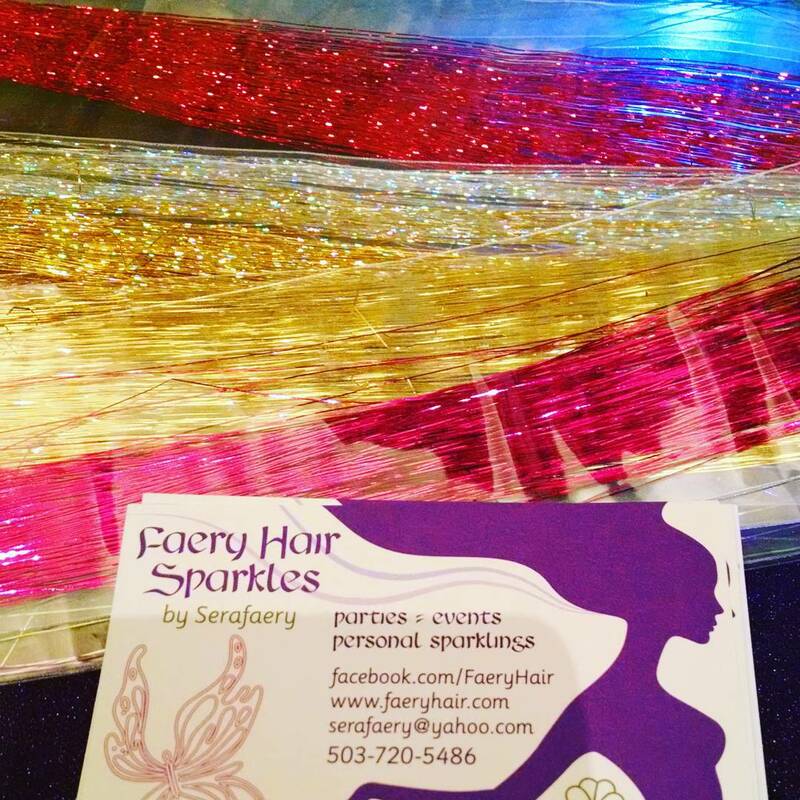 I'll have Faery Hair with me too, so you can get sparkly after you dance! 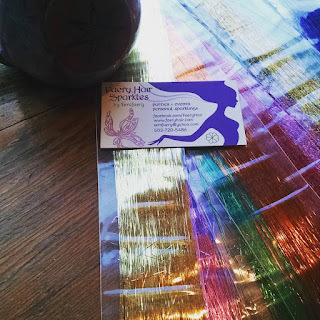 *Friday, October 2nd, 2-6pm, Faery Hair First Friday at the Fernie Brae Gallery & Shoppe, 4025 SE Hawthorne Blvd, Portland, drop in! *Sunday, October 18th, 2-6pm, Halloween Party, Espionage Cosmetics, 707 Pacific Ave, Tacoma, WA 98402, drop in! Faerieworlds was exquisite and painful and beautiful this year. I am still recovering, but merrily back to Faery Hair sparkling. Please kindly excuse me if I failed to return your call, email, or message in the past couple of weeks, things have been so hectic, I've tried to return every message but if I missed you, please forgive me and don't hesitate to poke me again, your message may have gotten lost in the shuffle, I'm sorry for that and very much want to sparkle everyone! <3 Thank you so much for your patience. Here is my schedule for September, so far. <3 I'm going to sparkle in Hood River, OR next weekend! Thursday, Sept 10th, 9:30am-1pm, Nectar Cafe, 1925 NE 42nd Ave, drop in! Thursday, Sept 17th, 11am-1pm, Townshend's Tea, 2223 NE Alberta St, drop in! Friday, Sept 18th, 7-9pm, Analog Theater, SE 7th and Hawthorne, Offbeat Belly Dance, free show, 21+, drop in! Saturday, Sept 19th, 4-6pm, Doppio Cafe, 310 Oak St, Hood River, OR, drop in!